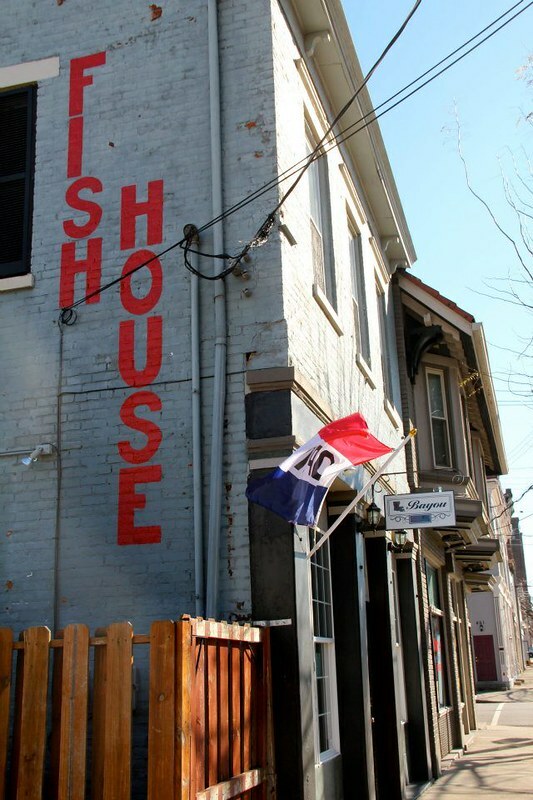 As a special holiday treat, CincyWhimsy is giving away a $25.00 gift card to Bayou Fish House! 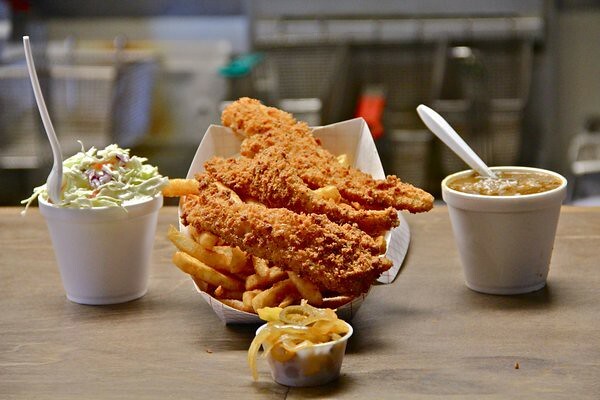 Have you ever been to Bayou Fish House? If so, what do you like to order? Contest ends December 15, 2012. Located at 5th and York Street just a few blocks from Newport On The Levee, Bayou Fish House is a little slice of Louisiana hospitality. The building itself looks like it popped out of the French Quarter and the interior is decorated with just the right amount of seafood kitsch. 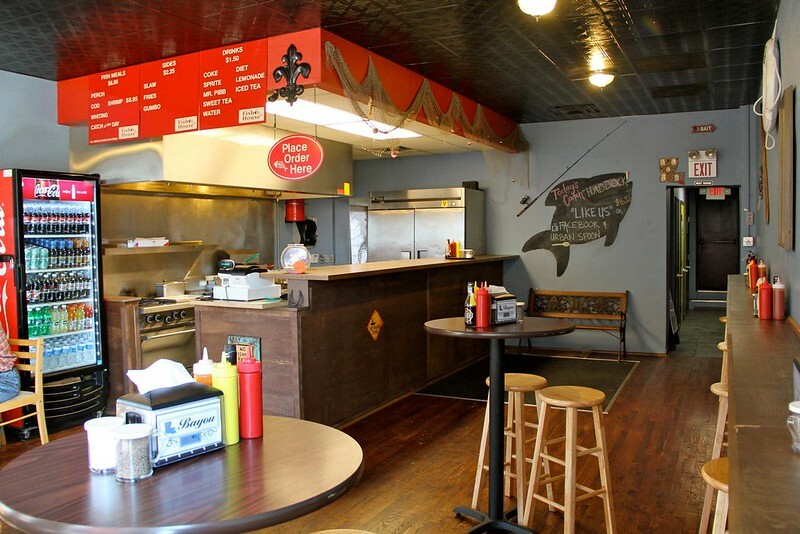 Each made-to-order meal is a personal recipe of the owner, Grant, who chats with you while cooking in his open kitchen. Grab a seat at one of the tables inside the restaurant, or you can get food for takeaway. 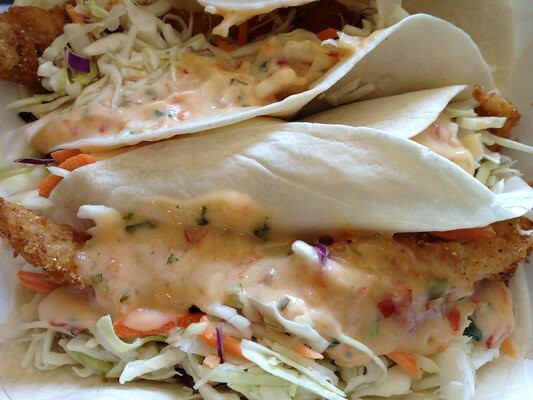 My favorite dish is the fish tacos: three large strips of fried cod wrapped in soft tortilla shells, topped with cole slaw and spicy cilantro sauce. 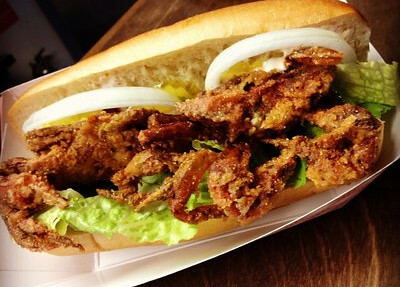 Bayou Bites make for a zesty appetizer; enough for two to share. 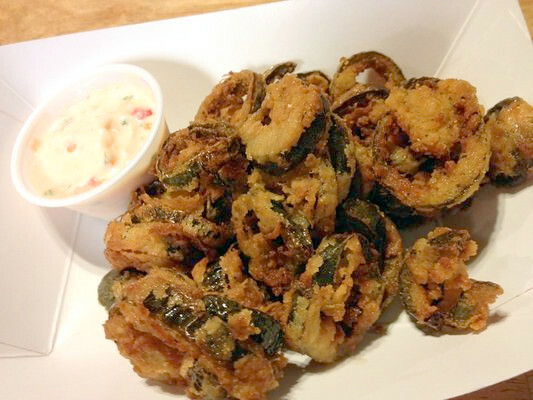 The jalapenos are fried in a seasoned batter and served up fresh, crisp, and not overly spicy; just the way I like them. 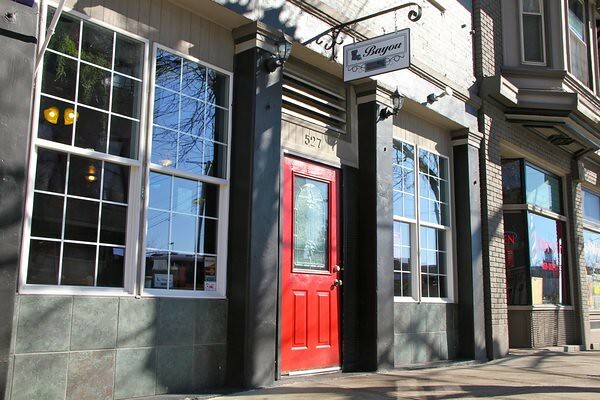 With warm, welcoming service and a rotating menu of over 60 kinds of fresh seafood, Bayou Fish House is quite the catch in Cincinnati.